1.Build-in hydraulic cylinder; it can also work with lock valve and be driven by air pressure. 3.With high precision and stability. 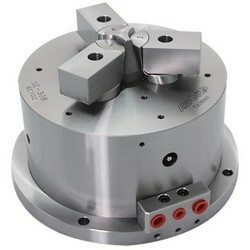 4.Suitable for the precision large length size process. 6.Can work together with multi-plate. 7.Air-tight pressure detect function is optional.